There is nothing I love more than modern classics or classic style, but with a modern twist. And, Very has really hit the nail on the head with its new ranges. I started with what I thought would be a quick browse of the range modelled by Daisy Lowe and I found a few bits that I was pretty chuffed to say, Vogue also gave their seal of approval to. Seriously, it’s so hard to narrow it down to one statement piece for Autumn/Winter, when they keep playing the hits! I’ve been becoming slowly more obsessed with Very since I bought now the sold-out Chloe-inspired bag from there a few months ago, that I’ve been wearing so much ever since then. It’s made an appearance in our YouTube lookbook, as well as the post on my latest bargain find and current wardrobe go-to for all occasions, the pinafore jumpsuit. Another trend that is hot right now. And, to think I stumbled on it browsing the sales rails in the kids’ section! So, yes, I love the Very Edit pages and how they’ve have incorporated trends seen over London and Paris fashion weeks, but made them accessible and wearable for mere mortals like me! Both fashion weeks and all the style pages are raving about embellishments, metallics and embroidery for Autumn/Winter. It’s all about the details right now and the details are all here – from lace, to embroidery, to sequins and sparkles. Whatever your style, there’s a bit of something for everyone. 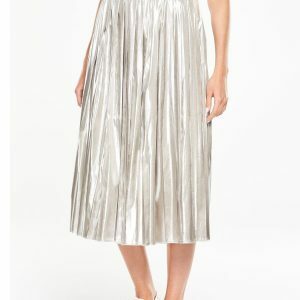 Take a scroll through my 12 picks and we’re covering a metallic and a lace detail twist on the midi skirt. 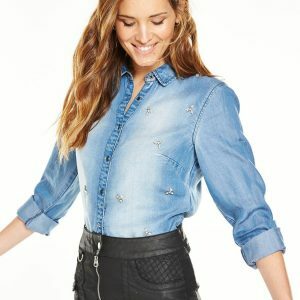 There’s a gorgeous embellished the denim shirt and a high neck tee. 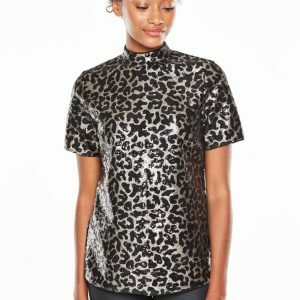 Yes, even the classic tee has had an AW16 make over, with sequins and my favourite print, which is leopard print. Yes, I am sold! 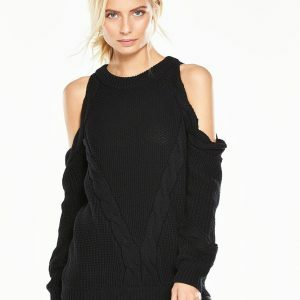 The cable knit jumper has been given the cold shoulder, the maxi has been maxed out with details, the sweater dress has ruffles, even the Chelsea boot has had a shiny, patent revamp. 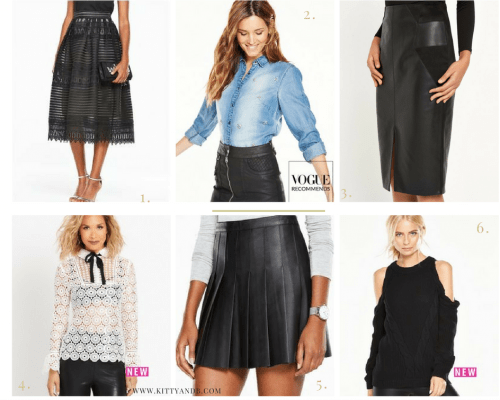 The kilt has been given a faux leather makeover and the white blouse has been given all sorts of delicious details to give it that modern Victoriana style that is so wearable with both jeans and a leather pencil skirt. Talking of the pencil skirt, I just love the subtle extra details on the patchwork skirt. And, finally the humble black mini has been given some leather fringe benefits and beautiful Aztec embroidery detailing. The patchwork pencil skirt would be perfect with a great shirt and a lace cami for a bit of effortless looking day to night chic. And, the details on the A line maxi dress give it that coverage, but with a totally modern twist for all those Autumn/Winter events. Although I don’t tend towards minis, I had to include the modern take on the kilt style, which I think would look great on a more boyish, long figure. Neither of which I have, but I can totally see how it would work! 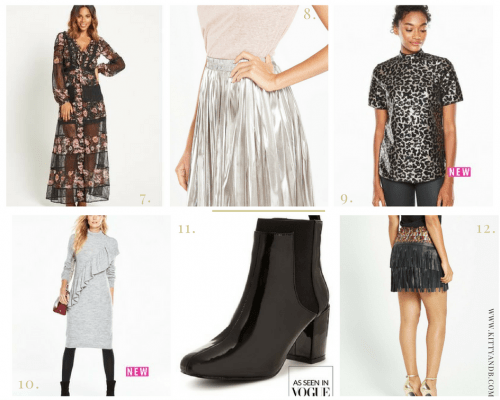 Whilst the fringed skirt I would definitely wear with thick tights and heeled ankle boots in black to do that trick of elongating my legs, but staying warm and covered for nights out in the colder months. Even though, alas, nights out are few and far between! So what do you think? Any favourites? Hello Kat, you are an incredible blogger. Your blog is amazing. All the pictures shared by you are so classy. I would love to try these. Thanks for sharing this wonderful blog. Fabulous edit. 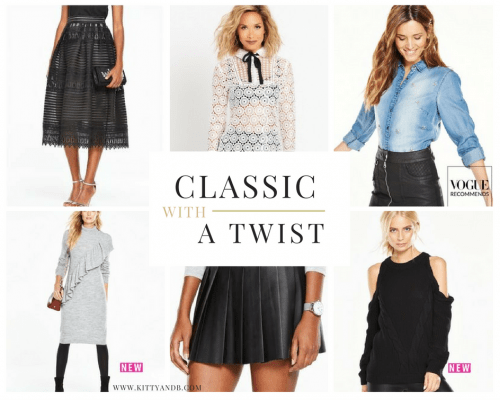 I love the pencil skirt and the knitted dress - I always love classics with a modern twist. So stylish. Some lovely choices here, I love the long lace skirt - beautiful! This makes me want to go on a shopping trip! 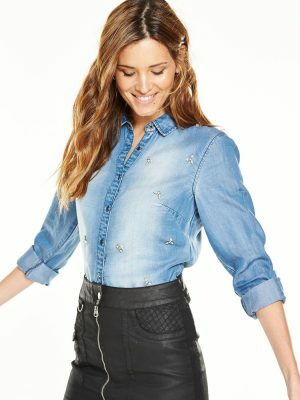 I like the black lace type dress and the denim shirt too! 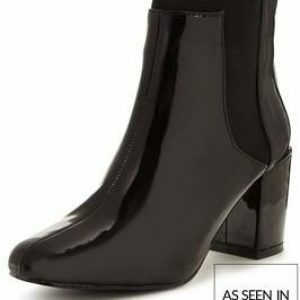 Also like the boots!